Low sperm count is not something men want to talk about and as a result men are not getting the information they need and could be missing out on becoming biological dads. There are also lots of myths about male fertility, such as hot baths and hard bicycle seats being among the causes of a low sperm count – these are true but many more are not! 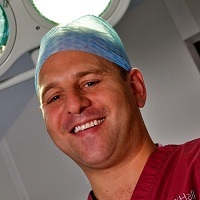 Mr Oliver Wiseman, consultant at Bourn Hall is one of the few urologists to specialise in male infertility. He says that a meeting with him is often the first time men have been able to ask the questions they want. He says: “It is possible for men with low sperm counts or even no sperm to father their own children. IVF with ICSI only needs one good sperm to make a baby. What we need is more openness about male fertility. “There have been a number of developments in treatment over the last 12 months that have improved options for men with little or no sperm, but still men are missing out because they feel embarrassed. For those who want something more specific the Fertility Check at Bourn Hall is one way that you can find out quickly if low sperm is an issue. The check includes a consultation so the results are discussed and your options explained. Whatever the outcome it will leave you more informed and able to make a decision on next steps that are right for you and your partner. Find out more about IVF with ICSI here. Read some of our FAQs on male infertility here.